Emma Grace Thompson of Tellico Plains, Monroe County, won first place at National History Day for her Individual Senior Documentary. The theme in 2014 was Rights and Responsibilities in History. Notice how Emma 1) contextualizes local history within a national context within the first two minutes of her documentary, 2) continually reinforces the theme, 3) incorporates a wide range of primary sources (government records, postcards, newspaper articles, and oral histories), and 4) skillfully uses music from the time period and from today to score her film. View Emma’s process paper and bibliography. Tate Greene, a student at Clayton-Bradley Academy in Maryville, Blount County, received the prize for Best Project in Civil War History for his Junior Individual Documentary at the 2016 National History Day competition. The theme was Taking a Stand in History. Tate’s documentary is noteworthy for its 1) dramatic cinematography, 2) excellent use of primary sources, 3) appropriate musical score, and 4) emotional impact. View Tate’s process paper and bibliography. 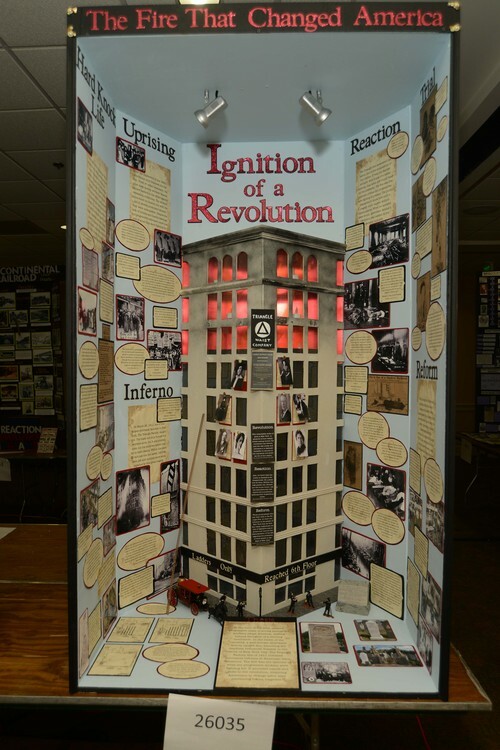 Rebecca Derby and Rachel Emond of Sevier County High School, Sevierville, won a gold medal for their Senior Group Exhibit, Ignition of a Revolution: The Fire That Changed America. Their topic selection, the 1911 Triangle Shirtwaist Factory fire, was an ideal choice for the 2012 theme, Revolution, Reaction, Reform in History. In the version of their exhibit that they submitted for the East Tennessee Regional History Day content, the students made a strong visual impact. 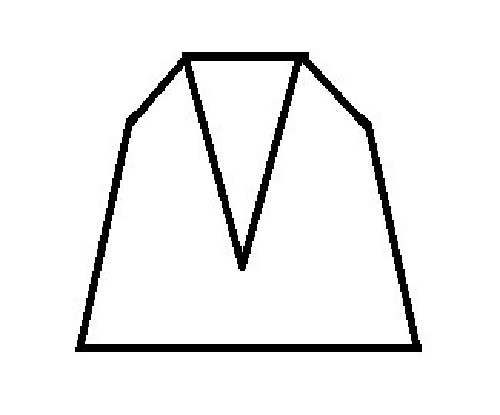 Their exhibit board was an unusual shape, which is permitted by the official NHD Rule Book. Their title, Ignition of a Revolution, was clearly visible. The sub-title, The Fire That Changed America, is not pictured in this photograph, but was present. Their headings included: Hard Knock Life, The Gibson Girl, Uprising, Inferno, Aftermath, Trial, History Lane (a timeline), and Reform. The feedback the judges provided Rebecca and Rachel at both the regional and state contests instructed them to narrow their focus and connect the project to the theme. For the national contest, Rebecca and Rachel made significant revisions. They kept the structure of the original board intact. They changed their headings to: Hard Knock Life, Uprising, Inferno, Reaction, Trial, and Reform. Notice that they removed the sections on The Gibson Girl and History Lane (the timeline). They changed the heading Aftermath to Reaction (one of the theme words). These are significant editorial choices that strengthened their thesis and refined their research. Read an interview with Rebecca and Rachel in which they discuss the inspiration for their topic, their project development, their research methodology, the revision process, and Rebecca’s experience at National History Day. In 2013, Joy Marshall placed 5th at National History Day in the Junior Individual Website category. Joy, of Knoxville, Knox County, attended Marshall Homeschool. 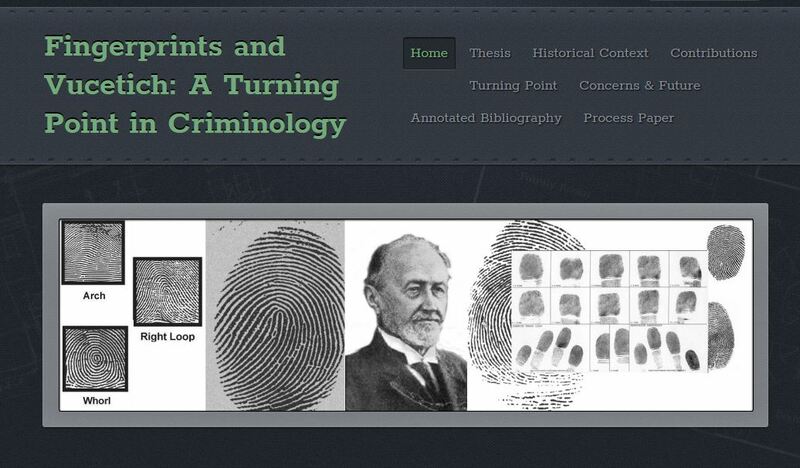 She interpreted the theme, Turning Points in History, with research into a STEM topic, Fingerprints and Vucetich: A Turning Point in Criminology. Joy 1) contextualizes her topic, by beginning in China in 300 BCE, 2) clearly identifies the turning point in 1892, and 3) had Spanish primary sources translated into English. Visit Joy’s website. In 2012, Brittany Wilharm of Clarksville, Montgomery County, was awarded the Legacy Prize. Brittany attended Wilharm Homeschool. Brittany represented National History Day in 2013 as the humanities scholar at a roundtable of young achievers. The theme in 2012 was Revolution, Reaction, Reform in History. Brittany’s Senior Individual Website, The Revolutionary Decision Which Sparked a Skeptical Reaction and the Landmark Surgery Which Made Ephraim McDowell the Father of Ovariotomy, explored the career of Dr. Ephraim McDowell, the pioneering surgeon who successfully removed an ovarian tumor. In Brittany’s website she 1) pays careful attention to parallel structures, making each child page title a rhyming noun, 2) she explains her initial interest in the subject thoroughly in her process paper, and 3) she provides context for how daring McDowll and his patient Jane Crawford were. Visit Brittany’s website. 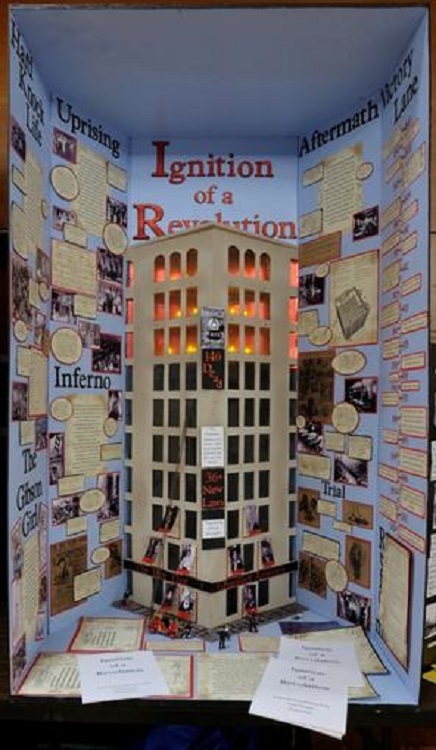 In 2012, the National History Day theme was Revolution, Reaction, Reform in History. Hadley Peters, of Concord Christian School in Knoxville, Knox County, won a medal for the Best State Project, Junior Division. Her topic, The Reform of the Tennessee Walking Horse, was one she understood intimately, since she owns a Tennessee Walking Horse. 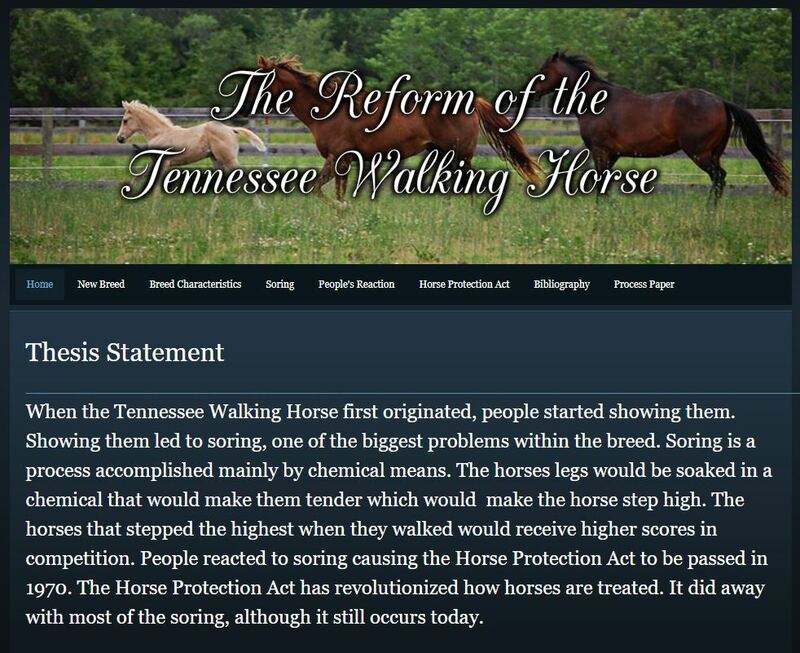 Notice that with her Junior Individual Website Hadley 1) addressed the controversial methods of creating the gait, 2) defined the breed and provides a brief history of its development, and 3) interviewed primary sources, such as former Sen. Joseph Tydings (D-MD), sponsor of the 1970 Horse Protection Act. Visit Hadley’s website. Areej Malley, of Pleasant View Academy in Memphis, won 3rd place at National History Day for her Senior Individual Paper. The theme in 2015, Leadership and Legacy in History, is thoroughly explored in Areej’s comprehensive study of Barzani. Notice how Areej 1) does not simply summarize Barzani’s life, but provide enough biographical details for historical context, 2) places her thesis at the end of the first paragraph, 3) follows all style requirements, and 4) includes both positive and negative views of Barzani for balanced research. Read Areej’s paper. Ibtihal Malley’s Junior Individual Paper placed 2nd at the 2014 National History Day competition, when the theme was Rights and Responsibilities in History. Ibtihal attended Pleasant View Academy in Memphis. Ibtihal 1) observes all stylistic requirements, 2) provides pertinent information in the appendix, and 3) successfully categorizes her sources as either primary or secondary. Read Ibtihal’s paper.